Really? Oh yes, what sounds like a formality is so much more than that. Here’s what you need to remember, and what you and your Boston Beacon Hill Realtor can do to prevent the appraisal ruining your plans. The appraiser isn’t working for you. Unlike your buyers’ agent, the home inspector, and your lending officer, the home appraiser isn’t working on your behalf. Their job is to ensure that the value of the Beacon Hill home is similar to the amount you’ve offered to pay for it. Ideally, they can also protect buyers by putting a limit on inflated Beacon Hill condo prices. Your lender won’t write a check for anything beyond what the appraiser says it’s worth. Unfortunately, that can leave buyers hanging when they’re willing to pay a little extra to get what they want. an appraisal is not a bad idea. In Massachusetts, a home sale can be contingent on the home inspection and/or the appraisal (in addition to other contingencies), and each gives you slightly different advantages. If you offer cash, there is no appraisal contingency unless your real estate agent adds it in (it is typically tied to the financing contingency). In a seller’s market like this one, it isn’t always a good idea to add more contingencies to the agreement, but depending on the scenario, the appraisal can be a good option. Talk to your real estate agent about how to put a home appraisal to work for you, even if you’re buying with cash. Say you’ve put an offer in on a Beacon Hill condominiums for $600,000. The lender sends their appraiser over and she comes back with a home value of $590,000. D’oh! There are a couple of things you can do: Ask the seller to lower the price (not all will, but it’s worth a try), or you come up with the difference in cash. Many times the issue is solved with a little of both, the seller comes down and the buyer brings in some cash. The lender can still pay $590,000, and if you have $10,000 extra, you’re good to go. Whenever possible, we have the buyers’ agent meet the appraiser at the door to hand them a listing of the home’s key features, as well as what are called “comparables”. These are other homes in the area that have sold for close to what you’re offering, that have a similar profile of amenities. Often, appraisers are overworked and may miss some key features, so any information your real estate agent can provide will help. Appraisal results are not typically available right away. In fact, the average time to close on a Boston Beacon Hill property is currently around 45 days; a significant part of that is waiting for appraisal results to come back. 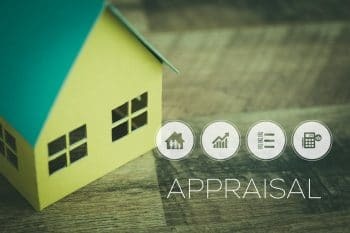 Have more home appraisal questions? Your Beacon Hill real estate team is here to answer, anytime. Contact us today!